Leslie Recendiz is a born tinkerer – the kind of kid who opened up broken appliances to see what was inside. She was particularly fascinated with broken laptops. Yet, she decided to major in computer engineering when, as a teenager, she broke the screen on her iPhone. Worried about telling her parents the bad news – because the repair was so costly – Recendiz decided to fix it herself. She went online, ordered a new screen that was compatible with her phone and, after watching a bunch of YouTube videos, taught herself how to fix it. That’s when Recendiz decided she’d like to study computer hardware a little more. Recendiz, now 20, is in her second year at Valencia College, intent on transferring to the University of Central Florida to earn a bachelor’s degree in computer engineering. But her future got a little more interesting this summer when she landed an undergraduate fellowship in a prestigious summer research program, Summer@Station1 in Boston. While in Boston, she will be working on a research project with Adaviv, a company that is using artificial intelligence to change the way crops are grown in greenhouses. Adaviv is a winner of MIT DesignX competition and is based at MIT’s Department of Urban Studies and Planning in Cambridge, Massachusetts. As a member of the Summer@Station1 class, Recendiz will receive a stipend to cover living expenses and transportation. She’ll also get the chance to participate in a number of mentoring programs and personal development workshops. At this point, Recendiz has her sights set on transferring to UCF, but she’s leaving her options open. “If I get a scholarship to go somewhere else, I will go,” she says. Her path to Boston started when a friend told her about Research Experiences for Undergraduates, which are competitive summer research programs sponsored by the National Science Foundation. Encouraged by her advisor at Valencia, she applied for several REUs through Valencia’s LSAMP program — the Louis Stokes Alliance for Minority Participation, a National Science Foundation grant program that encourages more minority students to major in STEM fields. Recendiz filled out the five-page application and submitted an essay on why we need to develop biodegradable satellites (so they don’t contribute to the problem of space junk), and before long, she was asked to do a Skype interview. After learning that she’d gotten the research internship, Recendiz began doing her homework: trying to learn Python, the programming language, by watching videos from Kahn Academy and Code Academy. “They said it wasn’t necessary to know Python but that it would be helpful, so I thought I would try to teach myself as much as I could before I got there.” Besides, she knows that, even if she heads into the computer hardware field, she should learn how to program too. Recendiz enjoys helping others. At Valencia’s East Campus, she has worked with other students in Valencia’s Technology Club, helping to repair students’ and staffers’ laptops, phones and other devices. 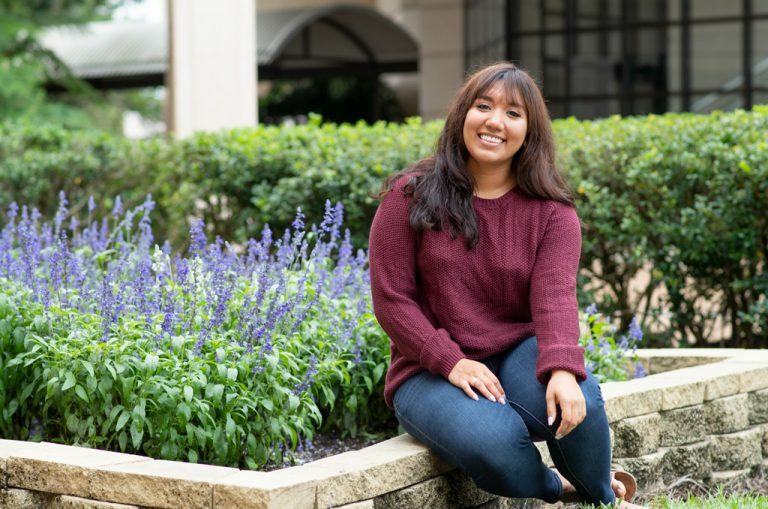 She has also worked as a math tutor, served as a member of the Student Government Association, and even played violin in the college’s 50th anniversary concert last year. As Recendiz prepares for a summer in Boston, where she’ll be living on her own for the first time, she’s excited for the opportunity. She also wishes her fellow Valencia students would realize there may be opportunities available to them.